What’s tougher than pretending to love a gift you really can’t stand? You probably already know the answer. It’s shopping for a gift while being unable to shake the nagging feeling that whatever you choose, the recipient will hate it. Don’t fret, gentle reader. Groom+Style is here to bail you out. The easiest way to shop for a friend or loved one is to focus on how they spend their spare time. Their hobbies will point you in the right direction of a gift they’ll truly appreciate. Here are 59 of the best hobby gifts we’ve come across over the last year. We’ve categorized them by types of hobbies, and almost all of these gifts are priced lower than $50. Our choices are suitable for almost anyone on your list. Most painters have to fine-tune their ideas before they can finally create the work they’ve envisioned. Enter “The Original Buddha Board,” which allows painters to let their creative juices flow as they paint with water on an absorbent 12 inch by 9 inch “canvas.” After five minutes or so, the water evaporates and the image disappears, with the board ready for another masterpiece. The board fits into a stand with a built-in water reservoir, and comes with a premium bamboo paintbrush that gives works the stylized, rich look of Japanese art. 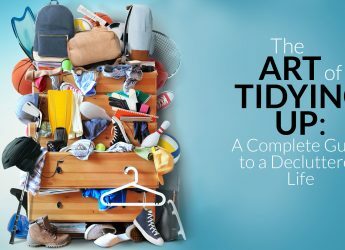 This product, unlike some cheap imitations, is reliable and sturdy, and it’s regularly used by those practicing the art of mindfulness, as they’re able to express themselves and then “let go” as their artwork disappears. Picturesque scenes often pop up at unexpected times. Most of us can simply take a quick picture with our phone. Those who love to draw, however, don’t usually carry a sketchbook with them everywhere they go. With the Derwent Sketching Wallet, they won’t have to. Derwent is well-known for its high-end fine art pencils, and a great selection of them is included in this art supply “wallet.” When folded, it’s about 10 inches by 7 inches and can easily fit into a purse or bag. 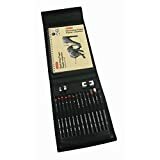 When opened, it reveals six Derwent graphic pencils (2H, H, B, 2B, 4B, 6B), one onyx pencil, one dark and three tinted charcoal pencils, two water-soluble sketching pencils (4B, 8B), a sharpener, an eraser, and of course an A5 sketch pad. It’s everything needed to create a masterpiece in a small, well-made and complete package. If you have a friend or relative who is into origami, they will regularly get packages of origami paper as gifts. That’s not a bad idea, since any origami practitioner needs a lot of raw material. Yet don’t they need somewhere to store all of that paper? Strictly Origami has created a stylish, slim, open storage box that can hold up to 1000 6” by 6” (There is also a smaller 3″ by 3″ version) origami sheets, with twelve shelves to protect the paper and allow users to sort the sheets by color. This organizer will last, too, since it’s made in America from high-quality Baltic birch wood. Anyone who is serious about origami won’t want their sheets stacked on a table where they can get dog-eared and discolored. This is a gift they’ll absolutely love. Everyone from medical experts to self-help gurus suggest keeping a journal as a great way to stay focused on goals, reduce stress, and fight depression. And you don’t need to pick out a stereotypical diary with blank white pages. 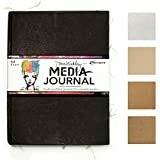 A great gift idea for a journal-keeper is an “art journal” that lets them exercise their creative juices, like this Dina Wakley Multi-Media Journal. 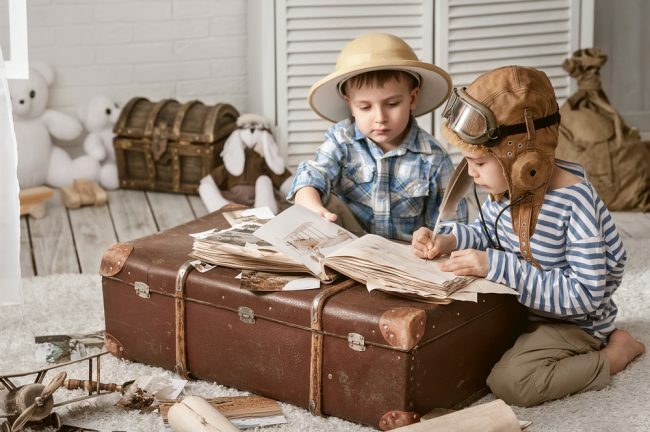 The pages are made from a variety of materials such as brown craft paper, canvas, burlap, and textured cotton rag paper; the surfaces let the writer use everything from standard pens to watercolors to express their thoughts in both words and art. The journal’s construction is ideal with a black matte cover and the pages sewn into the sturdy spine (which opens flat). Additionally, the 8½” by 10½” size is perfect for your loved one. There are plenty of options for your favorite scrapbooker, but most choices are just stacks of supplies they might already have. So our gift choice for a scrapbooker is a very cool home organizer that also allows them to easily take their books and supplies to a class, get-together or workshop. 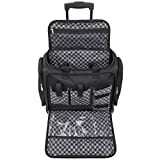 It’s the high-quality Luxcraft Wheeled Travel Bag for Crafters, made from durable canvas and built like an aircraft carry-on, with a telescoping handle and rolling wheels. The large interior compartment is 15” x 7” and there are nine interior pockets, three deep exterior pockets and two removable storage pouches (many of them with zippers). That provides plenty of space for even the most dedicated scrapbooker who’s got plenty of goodies and is often on the go. Sore backs, eye strain and carpal tunnel syndrome are just some of the medical hazards that bloggers face. 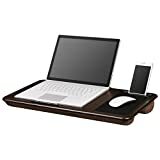 The best way to minimize those physical hazards is to regularly shift one’s position or locations, so a thoughtful gift for the blogger who seems physically attached to his workstation is an outstanding lap desk. This deluxe laptop desk is thoughtfully designed for functionality and comfort; the two bolster pillows and the stop bar on the bottom of the unit ensure that the desk stays firmly in the lap, while the non-slip top surface accommodates laptops up to 17”. There’s a precision-tracking mouse pad on the right side of the desk, along with an easily-visible slot to hold a cell phone. The LapGear Deluxe even has an “airflow channel” to provide ventilation for any heat created by the computer’s operation, and it’s available in either a wood or silver finish. 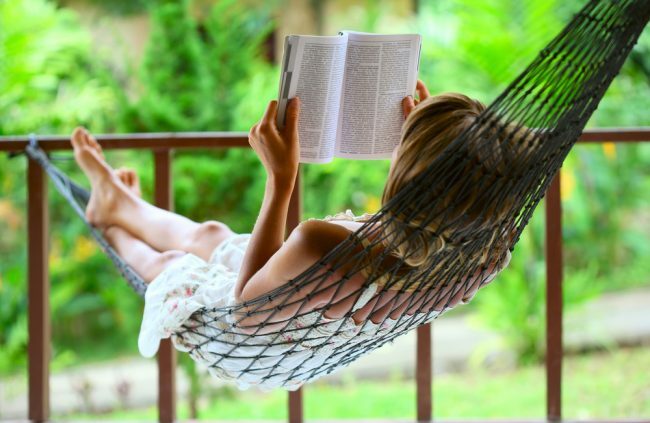 You’re planning to give a voracious reader a book as a gift? Then you’d better know not only their tastes, but all of the books they’ve already read. It’s a dangerous gamble choosing a book for someone who may well have read it, so our advice is to go in a completely different direction. We suggest a precision-crafted book embosser they can use to identify the books they own. The ExcelMark Hand-Held Embosser uses a state-of-the-art mechanism to elegantly emboss the title pages of books (as well as other items) with a 1 5/8” raised, custom-chosen identification seal. To make the impressions even more unique, you can also get gold foil seals to place onto an inside page of the books before embossing them. It’s a great way for any dedicated reader to proudly identify their books forever. Comic books, despite humble origins, have exploded into the popular market, with many active readers and collectors today? Yet you’re putting yourself at risk if you aren’t sure what publishers your gift recipient favors, so we’ll try to cover most bases by suggesting options for fans of the two most popular comic universes of all time. The Marvel Encyclopedia is a wonderful hardcover book written with the publisher’s complete cooperation. It features detailed and updated A-to-Z entries on 1200 Marvel characters (and teams), with expanded sections for major Marvel characters such as Thor and Spider-Man as well as beautiful images from Marvel’s extensive history. The DC Comics Encyclopedia, also composed with the publisher’s full cooperation, is a similar, fully-illustrated, hardbound A-to-Z guide covering more than 1000 different DC Comics characters and storylines. Either would likely be a welcome addition to any comic book fan’s coffee table. With just a little research, you can easily make the right call. It’s nearly impossible to choose a utilitarian gift for a car or motorcycle enthusiast. 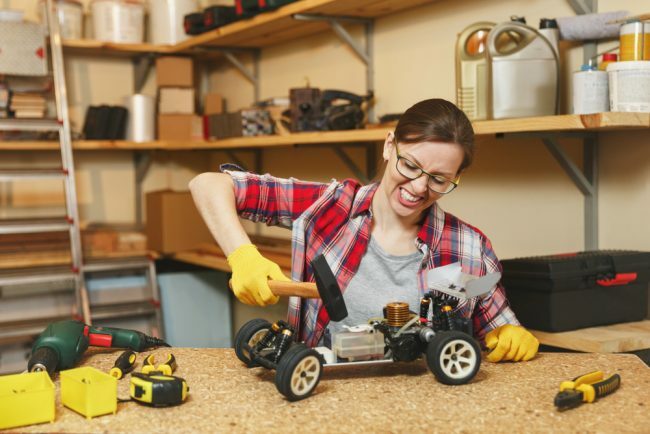 Chances are good that anyone who’s into repair or restoration already owns whatever tool you would pick out, and chances are even better that you have no idea what specialized accessory they’ve been dying to find. Groom+Style thinks it’s a better idea to go in a different direction, with this stylish container for car and motorcycle parts. 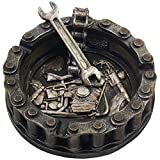 It’s actually marketed as an ashtray (and can be used as one if desired), but it’s perfectly suited to hold anything from lug nuts to fuses – all of the pieces that have an annoying tendency to roll away or get lost somewhere. This round container is hand-crafted from cold-cast resin in the shape of a motorcycle chain, approximately 5″ x 5″ and about 2″ tall, and can be easily moved around. With the stylized mock bike parts on the bottom and the faux wrench that rests on one edge, this piece is so cool your favorite mechanic may just put it on the shelf as a piece of distinctive garage art. This gift idea won’t work for every musician; just one look at a band or orchestra reveals how many players – and instruments – make up an ensemble. One thing most have in common, though, is that they perform in front of a mike stand or music stand. SlipGrip makes a series of products to help musicians move from the 20th into the 21st century, allowing them to switch from cumbersome sheet music to an electronic display. The SlipGrip Mic Stand Holder For iPad screws right onto a music stand, can swivel 360°, and holds the musician’s iPad firmly in a clamp that’s just the right size so it can’t fall out. How can a clamp with no springs or mechanical parts hold different tablets? SlipGrip offers a series of holders, each designed for different sizes and models of iPads as well as Android tablets (we’ve highlighted the iPad Pro 12.9 holder here, but they’re all available on Amazon). 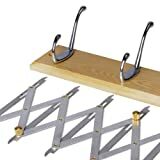 They’re sturdy, easy to use and will eliminate a number of problems associated with sheet music. Any devoted audiophile, or even someone who just listens to lots of music at home, probably has an intricate setup for their listening experience. 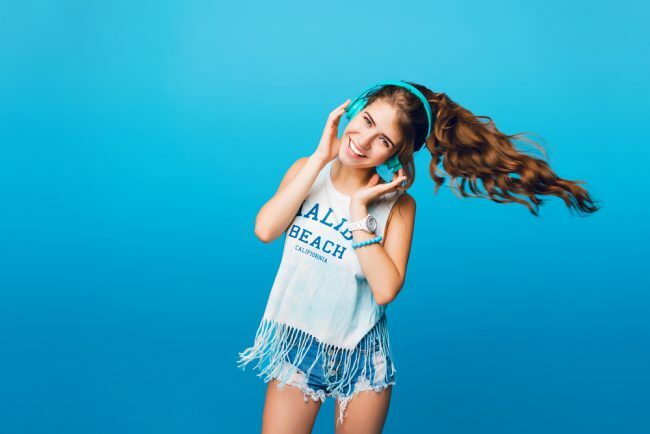 When they download tracks onto their computer or phone, though, the quality will usually be much lower – we’re all familiar with what downloaded audio sounds like. That’s where a USB-DAC headphone amp comes in handy. Formats such as MP3 compress audio to a nearly-unacceptable level, and the sound systems in computers or phones are often low-quality. A USB-DAC amp, on the other hand, takes the original digital packets and converts them directly to analog, while also shielding the signals from computer/device interference. You can pay well over $100 for high-end USB-DACs, but this XtremePro model works extremely well for its reasonable price. It delivers surprisingly great audio to headphones or earbuds, much better than you’d get from playing music directly from a computer or tablet. The XtremePro works with most models of newer phones and tablets, although you may need to add an inexpensive USB adapter cable to make the device work with some devices. Everything old is new again. In truth, most music collectors have probably never given up their fondness for vinyl, particularly their prized collection of vintage records. The recent resurgence in popularity for “real” records, however, means that more people are buying turntables and spending quality time with their vinyl collections. One thing that makes “special” records even more special is their covers. Many are true works of art and quite valuable. But those cardboard covers are easily damaged and can lose their value in an instant. 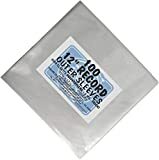 Your favorite record collector will love this easy solution: a package of 100 Square Deal Outer Sleeves. They’re 3 mm thick and made of virgin, first-quality, heavy-duty polyethylene with strong seams. That makes them able to provide complete protection for album covers as well as the records inside. Each sleeve is large enough to fit most double albums as well as regular albums (and, of course, 45 rpm singles). They’re also flush cut at the top so your friend or relative won’t have to fiddle with flaps. This gift is inexpensive, but the protection it will provide for the recipient’s record collection is priceless. Ballet? Square dancing? An all-nighter at a trendy club? Whatever type of dancing your relative or friend is into, one thing is certain: when they get home, their feet will be extremely sore. This makes the FootMate system a reasonably-priced choice for the dancer in your life. This foot massager and scrubber is made in America and recommended by many podiatrists. 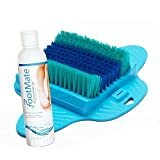 It has a gentle inner brush that massages the sole without aggravating irritation and stiffer outer brushes with contoured bristles to smooth calluses and rough skin. Together, they stimulate circulation while cleaning and relaxing the feet. It’s small enough to be used in either a bathtub or shower, with suction feet for safety. 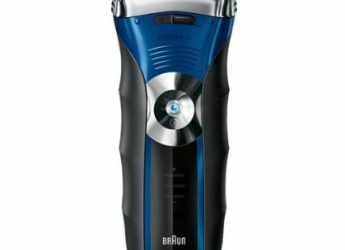 It also comes with a bottle of “rejuvenating gel” to make the experience even more soothing. Even if the recipient doesn’t tell you how much they love this gift, their feet will be eternally grateful. Perhaps the late Roger Ebert or Pauline Kael knew the title of every must-see film ever released. We’re willing to bet, though, that even the most devoted film buff has at least some holes in their vast knowledge base. 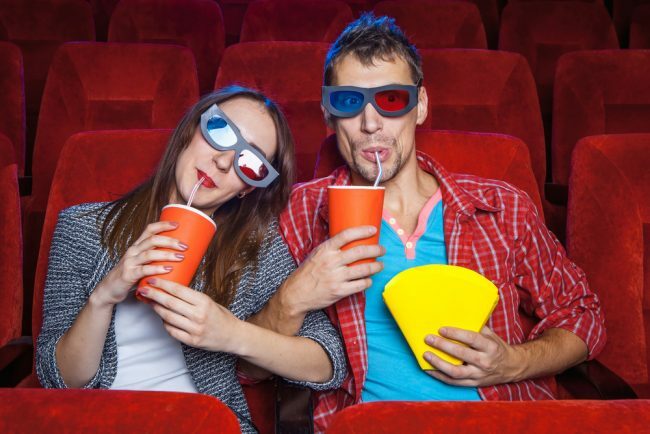 There are definitely some gems out there that your favorite movie-watcher has never viewed, and 1001 Movies You Must See Before You Die is the perfect resource for them. The latest version of this bible has been updated with some recent titles. Yet it remains a comprehensive guide to classic (and sometimes, unappreciated or unseen) films released throughout the 20th century, dating all the way back to The Birth of a Nation. It’s nearly 1000 pages of facts, back stories, production notes, and more for each movie, with plenty of full color images and reproductions of movie posters. You won’t find a better coffee table compendium for a film aficionado. Oil, whatever the kind, is indispensable in the kitchen. And every cook who’s tried to apply a light coating of oil, to anything, knows how difficult that task can be. Evo has come up with the answer, and it’s so simple you have to wonder why no one had already invented it. It’s an oil sprayer that operates without the potentially-harmful aerosol propellants contained in canned spray products like PAM. You just pour “real” oil into the bottle, and then pull the handle to evenly dispense a consistent, fine mist of oil. These bottles are made from recyclable plastic which is free of hazardous BPAs, DEHP and latex so they’re not only unbreakable and shatter-proof, but safe. Each can hold eight ounces of any type of cooking oil (pre-printed sleeves for olive oil, peanut oil and canola oil come with the set) as well as vinegar, juice and even wine, and they are easy to refill by screwing the included funnel to the top of the bottle. Evo also sells other sizes of oil sprayers, all available on Amazon. Many experienced bakers prefer marble rolling pins when working in the kitchen, particularly when they’re working with very sensitive dough like puff pastry. That’s because a chilled marble rolling pin will keep the dough cool and prevent it from sticking and the weight of the tool makes the job somewhat easier. Could anything be better? 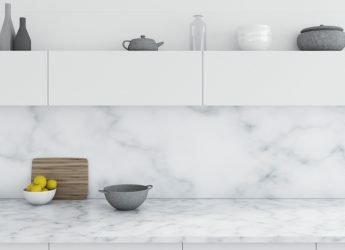 How about a complete pastry board that’s made out of beautiful marble? This Fox Run board is a great size for bakers, 12 by 16 inches, and it’s made of 100 percent natural marble with rubber feet on the bottom. Chilling this pastry board for 30 minutes before rolling out dough will virtually guarantee that the dough won’t stick to it. It will also ensure that the fat or butter in the dough will stay cool during the process. 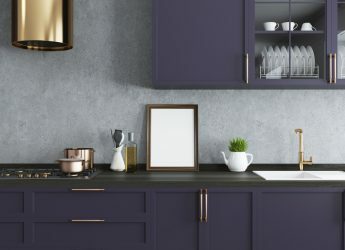 The marble board cleans up in a flash with soap and water, it can also be used as a stylish serving board, and its black color with contrasting natural veins make it an absolutely gorgeous item in just about any kitchen décor. It’s unlikely that your favorite baker has ever considered a marble pastry board, but they’ll be delighted once they try it out. Devoted canners are likely to have just about everything they need, from the water bath or pressure cooker to plenty of jars and lids. So what’s left, when you’re searching for a gift they’d really appreciate? We loved the look of these retro square, genuine Mason canning jars, and we’ll bet your gift recipient will too. Here’s why. 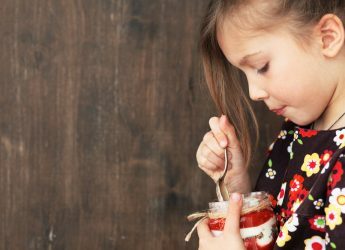 One of the joys of canning is sharing the wealth, and when a friend or relative wants to give some of their delicious canned-at-home foods as holiday gifts, these jars will make a lasting impression that an ordinary jar never could. Their single-piece gold lids (with safety buttons) give the jars a classic look, and they’ll hold eight ounces of greatness. They’re also perfect to display in the canner’s kitchen, not just tucked away unseen in a cellar or attic. It’s important to note that the gold lids are not suitable for hot-fill canning because they have a less-than-optimal amount of plastisol in them, but for those purposes, the jars also come with standard high heat lids. Looking for a great gift that can help an amateur brewer take their hobby to the next level? If they’re using standard equipment like a boil pot and fermenter, supplemented with a heat mat or heater, they’re probably just guessing at temperatures. So one of the most thoughtful accessories they could get is a fermentation temperature controller, which will vastly improve the quality of a brew. The Weekend Brewer controller works with either a heat mat or a full-fledged fermentation heater (not included). The brewer simply has to insert the controller’s temperature probe through the included dip tube on a thermowall stopper; that lets the probe sit in the wort or beer for accurate readings. Once they plug the mat or heater into the controller, they can set the proper temperature (from 40-90°) for the fermentation process, and the machine does the rest. One added bonus: this controller works just as well for those who make their own wine or kombucha. 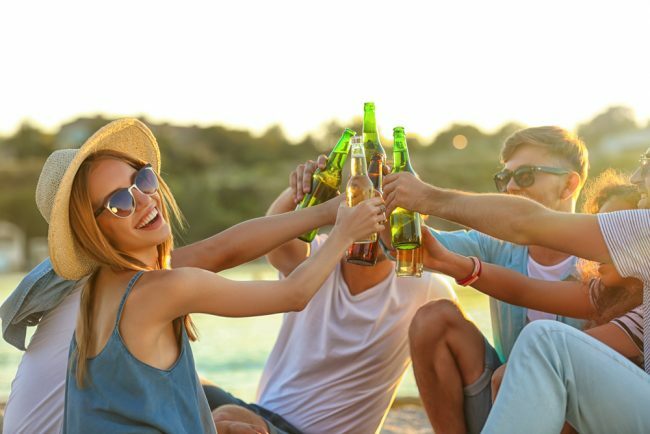 Experienced wine tasters aren’t interested in sampling the latest “wine in a box,” or even a bottle you’d pick up at random at your local supermarket or liquor store. Unless you’re prepared to shell out hundreds (or thousands) of dollars to find and give them a rare vintage, the best gift choice you can make is an accessory they can use for their tastings. They probably have all the glassware, stoppers, decanters and maybe even a wine fridge, they could ever use – but they’ll always need somewhere to record their tasting notes. 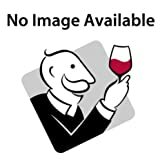 This elegant bonded leather wine tasting journal is produced and sold by the wine-tasting bible Wine Enthusiast. It’s not only beautiful, it’s organized perfectly for the dedicated taster. Each page has fields to enter a wine’s name, vintage, producer, denomination of origin, where it was purchased, price and notes on sight, smell, taste and rating, plus an area where the label from the bottle can be pasted. The leather cover is a classic burgundy color, the 155 inner pages are ivory-color bond paper, and there’s a gold ribbon page marker. For one additional touch of class, the entry descriptors are in both English and Italian. Let your recipient choose what wine they want to taste; they’ll always remember you when recording the experience. 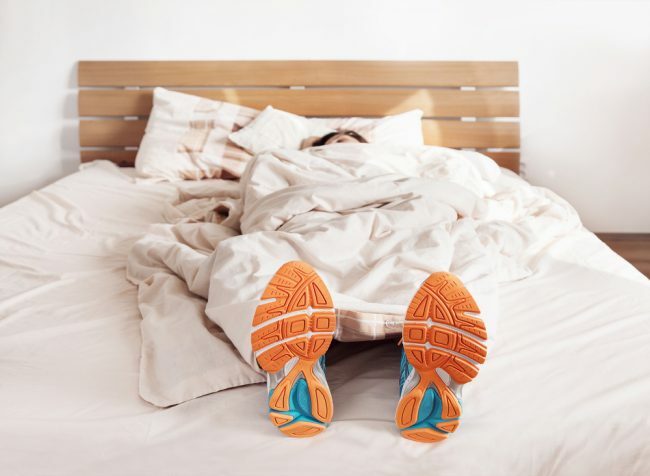 There’s one thing that casual joggers and serious runners have in common when they’re done for the day: sore feet. A nice soak will usually take care of that problem, but it’s not always enough. Angry arches or serious issues like heel spurs or plantar fasciitis require more active treatment, and experts often recommend working the bottoms of the feet with a massage ball. If you’ve ever tried to run your feet over a ball, you know what happens. The ball often just rolls away. The maple hardwood Oh Ball solves that problem, though, with a simple but ingenious method: military-grade paracord ropes with handles are attached to the ball. The ropes are long enough to let a runner hold them easily, position the ball wherever their feet need attention and apply the amount of pressure desired. 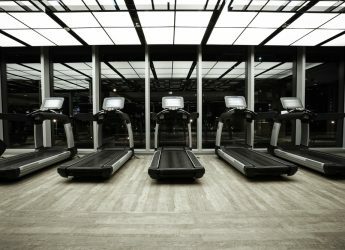 A 20-minute session does wonders for serious pain. 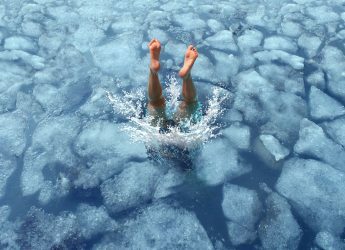 It also increases flexibility, blood flow, and range of motion while providing as much (or more) relaxation than soaking in a tub. This roller is available in two sizes, micro and large. Therapists prescribe the Oh Ball regularly, and it’s a wonderful gift for the runner or jogger in your life. Riding a bike over long distances can be arduous, and a solid grip on the handlebars can do a serious number on the palms and heels of a rider’s hands. Your friend or relative may already own a pair of biking gloves, but why not give them the very best, designed by the company whose name has already become synonymous with quality outdoor wear? These fingerless oxygen gloves are manufactured by Gore, the makers of the Gore-Tex garments beloved by campers, hikers and sportsmen. The gloves are built to fit snugly and provide the ultimate in comfort, with gel padding on the heel of the hand and foam padding on the palm to absorb road vibration. They also have silicone coating for grip and nylon/elastane on the back of the hand to wick away sweat. The Gore gloves even have a patch on the thumb that can be used to wipe away and absorb excess sweat that appears elsewhere on the body. Add in easily-adjustable Velcro to ensure the perfect fit and reflective tape for safety, and you can see that Gore has thought of everything to make these gloves as perfect as the rest of the company’s products. Whether it’s for valid reasons or simply superstition, pool and dart players are very particular about their cues or darts. You could buy them the finest stick or dart set available, but after using them in front of you they’d probably go right back to their favorites once you went home. Unless you know exactly which ones they’re dying for, buying cues or darts as a gift is a losing proposition. Groom+Style suggests that you focus instead on their environment instead of their game, with something to decorate their pool or game room. For pool players, consider getting the AdvPro personalized neon sign. It’s a modern-looking, aluminum 12 by 8.5 inch light box powered by LEDs, with “(X’s) Billiards Room” as the centerpiece and stylized graphics on the sides and at the bottom. The 3D engraving (you supply the manufacturer with the recipient’s name, naturally) is done with clear acrylic; the result is an elegant yet somewhat funky wall hanging, perfect for a billiards room. The darts-related gift goes in a different direction. 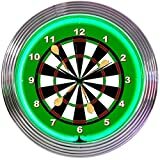 Instead of a sign, consider a fabulous neon wall clock that looks almost exactly like a dart board (except for the hands and time markers, of course). The 15-inch Neonetics clock has an art-deco style chrome rim, a hand-blown glass ring of green neon, and a quartz movement clock powered by a AA battery. It’s an unusual piece, and it’s sure to be appreciated. The Crane 8 is Origami’s best selling do-it-all folding bike. The tires are 1.75 inches thick providing commuters with a cushy ride whatever the road surface. 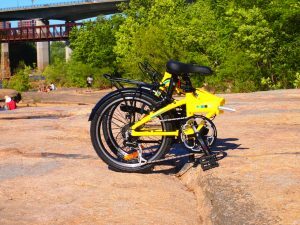 It is made with high quality 7005 aluminum and an 8-speed drivetrain so it is lightweight and versatile enough to speed through city traffic, climb hills or power through on open roads. The rear rack provides cargo-carrying flexibility, while the fenders provide its rider with protection from the elements. Its ergonomic grips and saddle keep your hands and body feeling good for long rides. 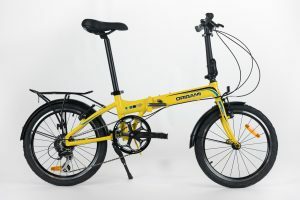 Origami are also in the process of bringing to market a folding bike with electric assist that is called the Firefly – we cannot wait to get our hands on one of those! The ideal gift for sports fans really depends on the team(s) they root for. A Tom Brady jersey won’t be of much use to someone who’s totally into the Lakers or Manchester United. However, since NFL football is America’s number one sport and making ground worldwide, we decided to recommend a gift perfect for any football fan, particularly if they love to tailgate. One of the foods that make pre-game festivities or post-game celebrations is chili. And what better idea for a tailgate party than to make chili at home and then bring it to the game, in a crockpot that shows off team spirit? These NFL-approved, 6-quart slow cookers are made by Crock-Pot so you can rely on their quality, and they’re adorned with your favorite team’s logo on either side of the control knob. Your recipient can make a batch of chili that will serve at least seven people, and the locking lid ensures that nothing will spill out during the trip to the game. Just be sure your friend or relative is going to invite you to the party! A serious rock climber will want to hand-pick the shoes, harness, rope, quickdraws and other equipment on which their safety – or even their life – might depend. As we’ve seen in many other categories, the best type of gift you can choose for a climber is an accessory they might not already have. In this case, we’re highlighting a product which will let your favorite climber start climbing at night. 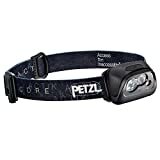 The ACTIC headlamp is battery-powered and fits comfortably on the head, with multi-beam headlights which generate 300 lumens of light; it’s also compatible with a rechargeable CORE battery system that’s sold separately. There’s plenty of flexibility built into the headlamp with five modes: standard, max autonomy, max power, proximity and strobe. There’s also the option to switch from white to red light, either to avoid blinding other members of the climbing party or for stealthy movement in applications other than rock climbing. The ACTIC is available with a black, blue or green headband. Slacklining is difficult enough to master without worrying about tricks, but eventually, it’s time to get into tricklining. 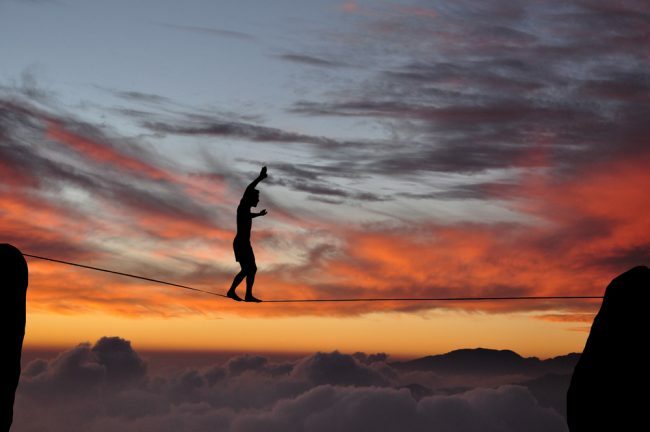 We’re not talking about the easy stuff like turning around on the line or walking backwards; we’re referring to the bouncing and spinning that makes people “ooh” and “ahh.” Some people simply enjoy the exercise and the challenge of standard slacklining, but most are simply too scared to try any stunts. With this gift, you’ll give them that little extra push of confidence they need. Tricklining is best done with a different type of line than a standard slackline, bouncier and better able to absorb the impact of landing. 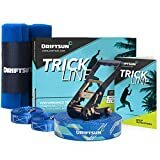 The Driftsun Trick Line Kit comes with a lightweight (3.3 pounds) 50 foot by two inch line, made from trampoline-style nylon webbing with rubberized graphics for better performance and grip. If you’ve ever used a trampoline, you’ll understand what a difference bouncy webbing can make when launching into the air; this webbing has a strength of four tons and can hold up to 330 pounds. The kit also comes with a high-tension hold ratchet with safety lock, two backup lines, two tree guards, and a bag to hold everything. 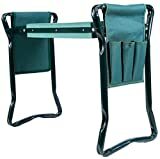 As we searched for a great gift for slackliners, this one jumped right to the top of our list. Most campers, even traditionalists, have given into the lure of modern technology and now carry a powered lantern or flashlight when they head out. 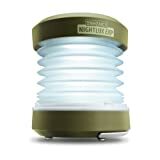 That being said, solar lamps have a nasty habit of not charging when skies are overcast or in bad weather, and camping lights that depend on batteries or a quick USB charge before leaving the house have been known to run out of juice at the worst possible time. That’s why the Enhance Camping Lantern is the perfect gift for the camper in your life. They can charge it via USB cable at home (or elsewhere if they have another power source). Yet in the event of failure, this lamp also has a hand crank to generate the power needed to shed light on the situation. When opened it’s a 65 lumen lantern; when collapsed it’s a compact 15 lumen flashlight and easy to fit into a backpack. The lamp weighs less than ten ounces and will quickly become an invaluable part of your recipient’s camping kit. Even casual hikers know that when it comes to comfort, the socks they choose are almost as important as the boots they wear. 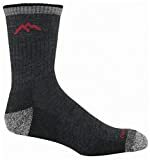 The right hiking socks prevent blisters and sores, and can make long hikes an enjoyable experience rather than an ordeal. Additionally, there are lots of great options from companies such as Wigwam and Smartwool. If you give a pair of Darn Tough socks to your family member or friend who loves hiking, though, you’ll earn their eternal gratitude. Make no mistake: these socks are expensive. However, they come with an unconditional lifetime guarantee, making them an investment and not just a pair of socks. Darn Tough products are made in Vermont from a blend of 61% Merino wool, nylon, and spandex. This makes them breathable, extremely comfortable, and fast to dry. The socks are antimicrobial to fight bacteria and odor buildup, there’s cushioning on the bottom for support, and the fit is just right to prevent blisters, slipping and bunching (sizes S-2X are available). Socks may not be what people expect, but in this case, they’ll produce love at first wear. Just to be clear, this gift idea won’t be appreciated by the person who heads out once or twice a year to stand on a bridge, cheap rod in one hand and a beer in the other. 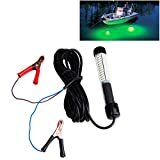 This submersible fishing light is designed for serious sportsmen (or women) who head out on their boat early in the morning or at night in search of prey. Those true aficionados will be amazed at how many fish they’ve been missing once they have this light attached to their boat’s 12 volt electrical circuit (or for shore fishermen, their car battery) and put it into the water. The super bright green LEDs on the five-sided lamp (there are also blue versions for attracting prawns and white for general underwater vision) attract plankton and other small underwater life – the food that large fish naturally flock to. That, in turn, means a bumper crop for fishermen, some of whom say the size of their catch increases five or ten times after dropping the Lightingsky unit into the water. The LEDs last for 50,000 hours of use, eight times longer than a lamp with halogen bulbs. Just make sure your recipient invites you over for the fish fry. Statistics show that it’s not just old ladies and shut-ins who garden indoors. 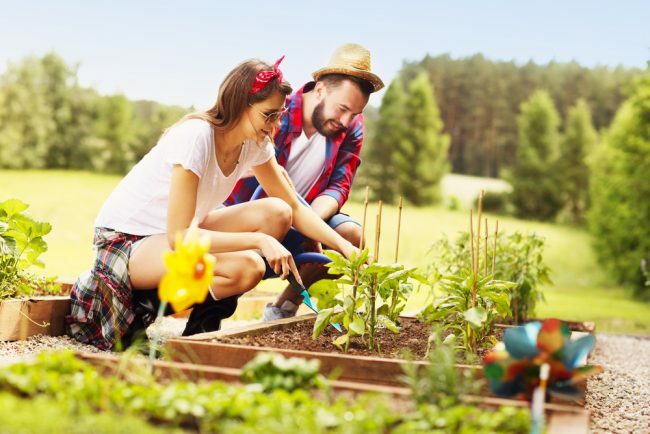 More people of all backgrounds are getting into gardening, and some people are getting into it for a healthier and better homes. Whether your gift recipient raises seedlings indoors, just has a few carefully-maintained houseplants, or spends most of their spare time tending to a house full of beautiful blooms, much of their time is spent watering. These Moolon Automatic Watering Globes will take care of that task for gardeners who find watering tedious or will ensure that their smaller plants remain healthy when left unattended for as long as two weeks. 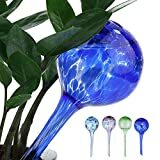 The thick glass globes are simply filled with water, their stems are inserted into the soil next to the plant, and they periodically spray as needed. The four-pack includes one green, one blue, one purple and one multi-colored globe; they’re not just useful, they’re a stylish addition to your décor. 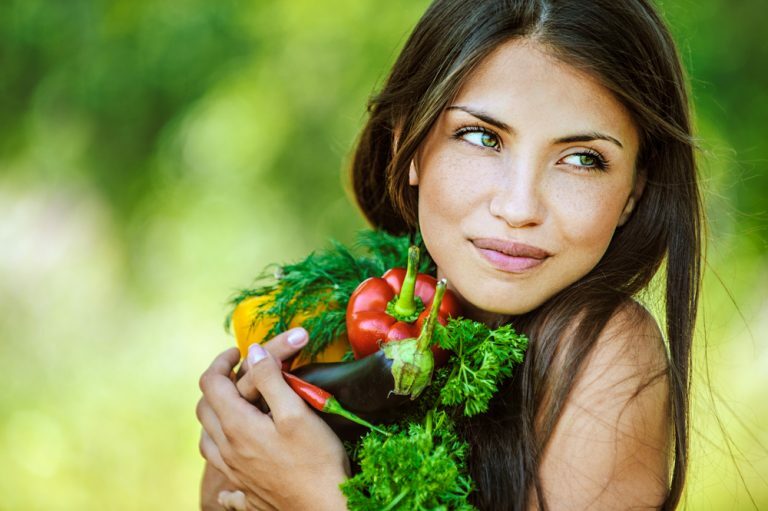 Hydroponics is a growing hobby that involves raising plants without soil, and budding hydroponic gardeners usually have starter kits set up on a table or on racks. If you want to help a relative or friend take their gardening to the next level, they’d love receiving a hydroponic grow tent. It reflects light in order to lower energy costs while letting ample light reach foliage underneath the plants. It helps gardeners make the most of their available space and it makes pest and odor control easier. You can spend hundreds of dollars on a high-quality hydroponics grow tent, but this CoolGrows unit is a terrific beginner’s option. The 600D outer canvas material is thick, double-stitched and tear-proof, the 95%-reflective Mylar inner lining efficiently reflects inside light and blocks sunlight that could damage plants, and retains heat, while the strong metal bars and connectors ensure stability. There’s even a viewing window which can be covered with a flap if desired, plus hanging bars and a Mylar spill tray inside. Larger sizes are also available. How can you tell someone is an avid outdoor gardener? It’s easy: during the summer months, the knees of their jeans are always stained. You probably know at least one or two folks like that, and it’s your responsibility to protect them from that telltale, inelegant fate with a high-quality, useful garden kneeler. The Ohuru kneeler sets the standard. That’s not just because it has an elevated, extra-thick EVA (ethylene-vinyl acetate) kneeling pad ergonomically designed to protect knees from strain. It’s not just because it’s supported by heavyweight steel pipes which feature handles that let gardeners lift themselves off the ground when the work is done. It’s because when you flip the bench over it becomes an attractive garden bench that can support up to 330 pounds of weight. As an added bonus, there are two pouches that attach to the handles to accommodate all the garden tools your recipient may need. A professional programmer isn’t a great candidate for this gift, but remember, we’re talking about hobbists. Amateur coders will get pretty excited about the CanaKit because it’s a really cool alternative to a desktop or laptop. 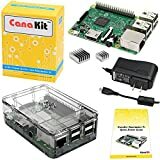 The Raspberry Pi is a small but complete Linux computer that is about the size of a driver’s license or credit card which plugs into a monitor or TV and works with the keyboard from a portable device. It lets the user play around with Linux (there are special versions for the RPi) and learn to program in languages like Python and Scratch. 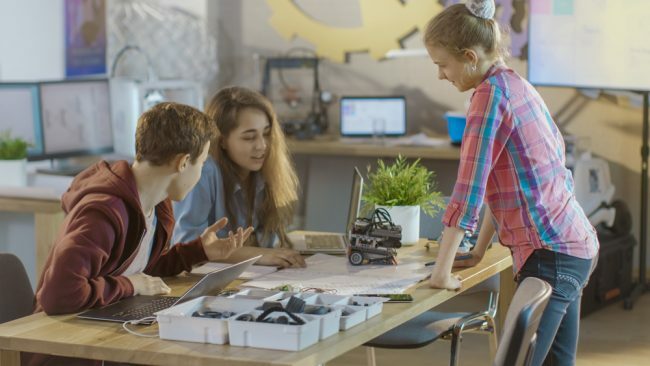 More advanced users can tinker with Raspberry Pi to emulate classic machines and software such as Spectrum and Windows 3.0, run old arcade games, and even operate a robotic arm. The CanaKit includes the fastest Raspberry Pi that’s been released, the 3B. It’s a quad-core 1.2 GHz machine with one gig of RAM onboard, it has built-in WiFi and Bluetooth capabilities, and comes complete with a micro USB power supply, heat sinks and a case. It will run many older applications and can work with some newer ones such as Kodi for streaming video. Yet above all, it’s a blast to play around with. A gift they’d surely appreciate is a versatile hard drive dock that lets them clone drives, retrieve or recover data, and set up temporary external drives. This single-bay, single-chip Plugable model has all of the features they could want, supporting solid state drives, SATA (I, II and III) hard drives and hybrid drives of any capacity, both 3.5- and 2.5-inches. It connects via SuperSpeed+ USB 3.1 Gen2, providing up to 6 gigs of available bandwidth for SATA III drives, and is faster than any competitor on the market. The drives just go into the dock vertically like a cartridge would, and hot-swap is supported. In short, your favorite computer builder will adore this reasonably-priced gift. You already know that your relative or friend with a fabulous home theater has all of the equipment anyone could ever want. You know that, because they’ve given you a detailed tour of the entire setup at least once or twice. 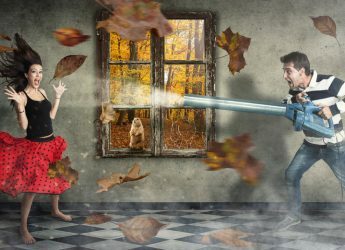 At any rate, buying them the very latest A/V receiver or home theater projector would cost a fortune, and trying to choose a Blu-ray movie that they’d love is nothing more than a crapshoot. What’s a gift-giver to do? 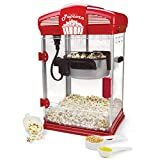 Why not make the home movie venue feel more like the real thing by giving them a theater-style popcorn machine? This West Bend tabletop machine creates up to four quarts of the soft, fluffy, delicious popcorn you get at the multiplex, enough for an entire crowd. 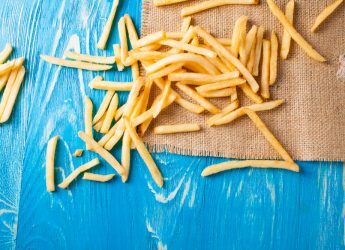 It’s not a pain to use either, since it doesn’t need to be preheated and a coated non-stick kettle and removable top make cleaning up after the movie an easy task. 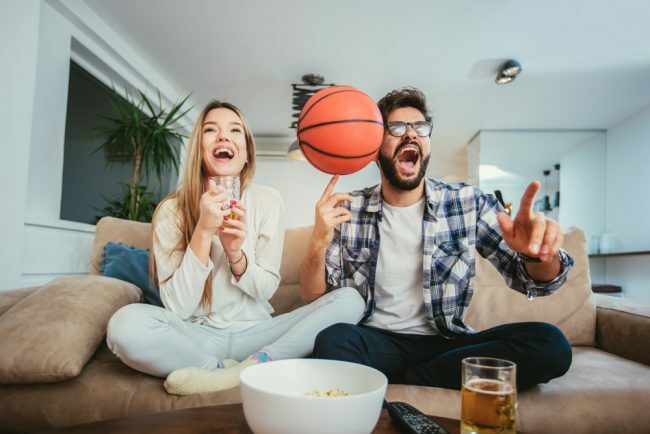 Aside from the yummy snack it produces, kids (and some grownups) love watching it operate, and the smell of freshly-popped popcorn will make your friend or relative’s home theater feel infinitely more authentic. It’s difficult to design in a three-dimensional world with a 2D mouse or touchscreen. That’s what makes the Kodana 3DGo such a welcome technical tool; it’s the world’s first 3D mouse, and it comes complete with a large HoloDock. Moving the 3DGo above the HoloDock allows your favorite designer or gamer to easily manipulate on-screen objects and content in three dimensions, in real time. 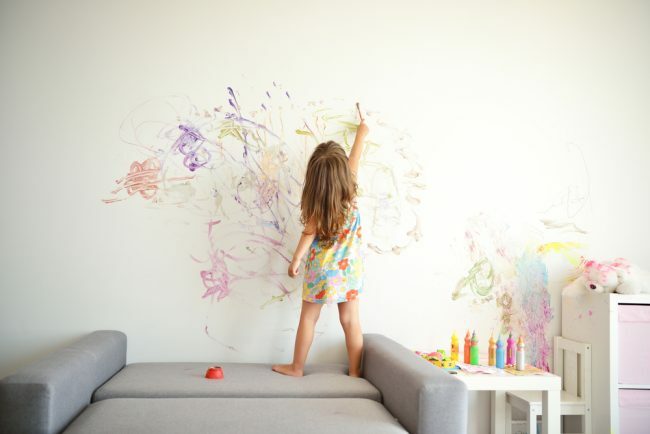 It’s an astounding experience, opening an entirely new world of creative possibilities. This cool tool works with just about every tablet, laptop, computer or Smart TV, because all of the computing work is done on board. All that’s needed to get started is a Bluetooth connection. There are many other uses for 3DGo other than gaming and game/app design: 3D drawing, puzzle-solving and creation of real-time CGI effects are just some of the possibilities. 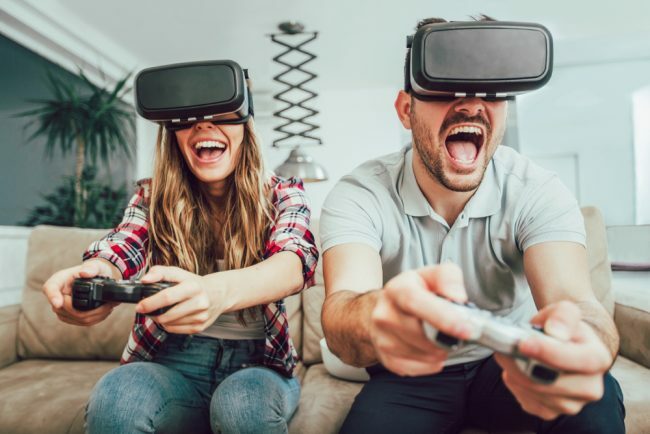 The HoloDock and mouse work in either augmented reality or screen modes, and a host of commercial games specifically designed for the 3DGo are in development. Buying a gift for a gamer can be difficult because they likely have what they need. You could pick out the hottest new game and hope for the best, but you’re better off going in a different direction. Consider a pair of Gunnar Optiks gaming glasses. The company makes an entire line of these glasses, many of them more expensive because they’re designed for specific consoles. The anti-glare Intercept Computer glasses, however, are versatile. They’re effective when used with consoles in addition to desktop monitors, making them a great, moderately-priced choice. 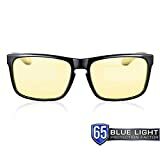 The amber-tinted lenses enhance the clarity of graphics while reducing or eliminating eye strain and glare, and the wide-format lenses create a panoramic viewing field when used with high-resolution monitors. The meticulous construction of these lightweight glasses makes them durable enough that the company offers a one-year warranty. People still play board games, and the selection is infinitely greater than it was back in the days when Monopoly, Risk, The Game of Life, and Candy Land ruled the industry. Those games are still around and popular, but the selection of newer board games on the market is enormous. We’ve chosen two options; one is for families with children raised on Harry Potter, and the other is for grownups who were weaned on video games. Our family game selection is Arcane Academy, which is a magic and crafting tile game that challenges students at the “academy” to cast spells or create magical items by drawing cards and linking tiles on the board. Famed modern game creators Eric Lang and Kevin Wilson have put together a fun game that will challenge the adults in the family, yet is easy for kids to learn and takes well under an hour to play. For grownups who fondly remember their first Nintendo, we recommend the Super Mario Chess Collector’s Edition, in which the pieces are familiar characters like Mario, Luigi, Peach, Toad and Bowser; one player takes the “good” characters while the other takes the “bad” ones. It’s not only fun to play, but fun to look at as well. Most people who like to play games are just looking for a little fun. They don’t really care when or how the games were created. 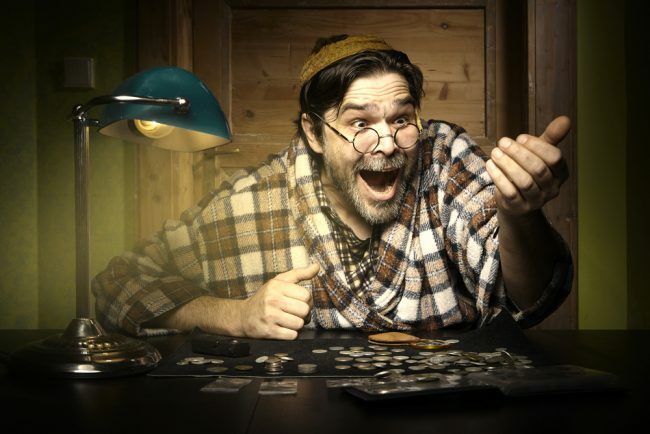 As you probably know, though, role-playing gamers aren’t like “most people.” The patience, concentration and imagination required for RPGs draws players into their games in a way that board games, or even the most complex video games, never could. That’s why the fantasy gamer in your life will fall in love with Jon Peterson’s deeply-researched book on the history and origins of role-playing games, Playing at the World. It focuses primarily on the fascinating story of how the legendary game Dungeons and Dragons was developed, but goes much deeper in its 720 pages, examining everything from the rudimentary war games played in the 18th century to modern, intricate RPGs. You might be captivated by a model Corvette, Lamborghini, Shelby Cobra or Bentley when shopping for the model car nut. 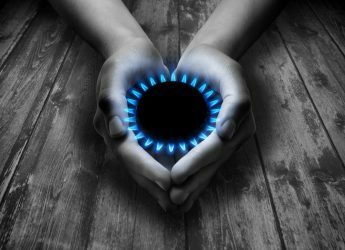 The problem is that they’ve probably either built the kit you have your eye on – or they aren’t particularly interested in it. There’s an excellent chance, though, that they’ve only focused on the cars of their dreams and not the engines that power them in real life. This addition to any car nut’s collection, which has been endorsed by the famed auto repair authority Haynes, is an excellent option. It’s a build-it-yourself, twin overhead cam V8 engine that actually works perfectly once it’s been put together. 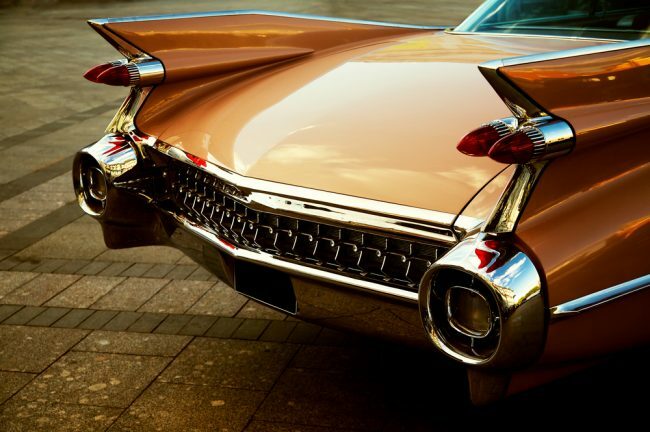 There are more than 100 parts (many moveable and others chrome-plated), including an electric motor (powered by AA batteries), plugs that light up when they spark, and engine sounds. This see-through engine lets you watch the way it works when it’s started up, it has an auto-shutoff feature for safety, and will give anyone into model cars a new appreciation for what goes on under the hood. If you already know your gift recipient’s preferred scale or gauge and their preferred era and road name, you have a decent shot at picking out a train car or accessory which will match their existing train sets. Otherwise, as we’ve suggested so often in our gift list, consider giving something which is extremely handy to have around and can be used with multiple scales. A great example is the Bachmann Track Voltage Tester. It’s nothing fancy, but it’s invaluable for people who want to check the voltage running through their DC or DCC tracks without messing around with a volt-ohm meter. The tester has green, yellow and red indicators; on DC tracks the colors correspond to the power level just as you’d expect, and on DCC tracks all three indicators will light up for adequate power. This tester works for N, HO and ON30 trains (ON30 means that O scale trains are running on HO gauge tracks). Be prepared to spend a bundle (at least several hundred dollars) if you’re looking to buy a serious robotics enthusiast a gift they’ll treasure. 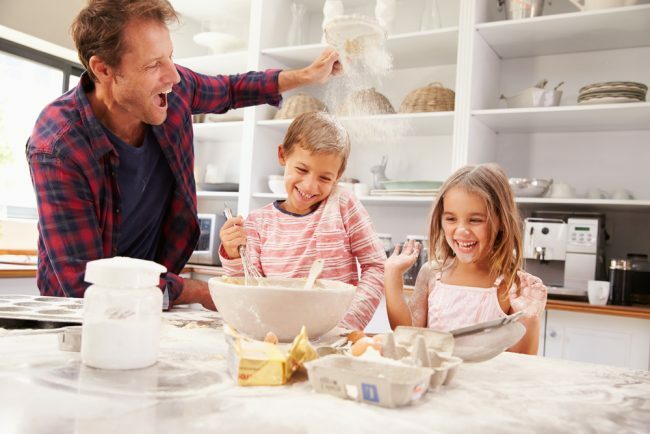 Look instead for something they’ll have fun with – and something their less-experienced friends and family can enjoy as well. What we have in mind is the Sphero Mini Blue, the newer and smaller version of the well-known, more expensive Sphero spherical robot which has been on the market for years. Your gift recipient may be intimately familiar with the basic yoga poses, but they’ve she’s probably only scratched the surface. There are an incredible number of yoga poses and modifications, and very few of them are taught in classes. 2,100 Asanas: The Complete Yoga Poses was written by Daniel Acerda, known worldwide as “Mr. Yoga.” He’s taught everyone from celebrities to Olympic athletes, and his 736-page compendium of asanas is not just the most comprehensive collection ever compiled, but it’s illustrated with gorgeous photographs showing expert Yogis performing each pose. Each section focuses on a different type of pose (gradually increasing in complexity) and featuring complete descriptions of the mechanics and the chakras that are affected. There’s no more authoritative guide to yoga, and it’s worth every penny. There are hundreds of stretching exercises and yoga poses that can improve flexibility, health and happiness. But it’s impossible to remember them all, and it’s counter-productive to have to keep stopping to look at your phone or a book for help. The Kyoma Instructional Mat is imprinted with more than 100 key exercises and poses, and it’s eco-friendly, high-quality and comfortable to use. A brilliant gift for anyone who wants to reduce their reliance on technology and exercise at the same time. Candles have been an integral part of many meditation sessions well before meditation and mindfulness became 21st century bywords. Staring into a candle, particularly a scented one, creates a peaceful feeling in most people. Of course, candles burn down relatively quickly and can even pose a fire hazard. A safe alternative to candles may be exactly what a friend who practices meditation could use. 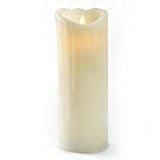 The Gideon Flameless LED Candle is realistic; it’s nine inches high, it’s actually made from wax, it’s shaped like a real candle and the flame flickers in exactly the same way, gently and softly. It also emits a light vanilla scent. Yet a remote control makes the LED candle simple to control, and it’s powered by two AA batteries. It’s the modern way to relax through candle meditation. 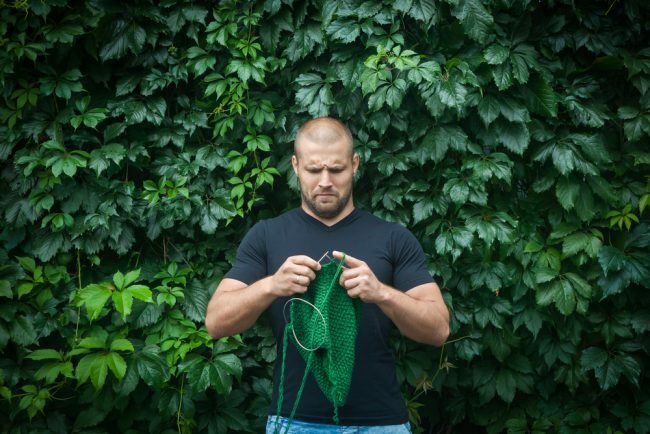 There’s nothing more frustrating for a knitter than having to stop in the middle of a project because the yarn is all knotted up or won’t unwind easily from the ball. 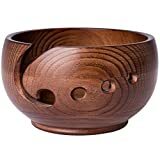 Many knitters don’t know that using a wooden yarn bowl provides the ideal solution for those problems. Yet now you do, and you can break the news to your favorite knitting addict with a gift they’ll find invaluable. A great yarn bowl is extremely smooth so when the yarn feeds out of the bowl and through the opening it won’t catch or fray. This Laborwood product is hand-crafted from premium and durable European ash that’s covered with a smooth lacquer finish, so fraying is never an issue. It’s quite large (the inside diameter is approximately six inches) and will hold any sized ball of yarn, while the self-adhesive silicone stickers on the bottom make sure the bowl won’t move as the yarn feeds out through the opening. Laborwood also includes two needles, ten stitch markers and a knitting counter with the bowl. All materials are completely non-toxic, the bowl itself is beautiful, and the company provides a lifetime warranty. This is a high-end gift at a terrific price. Your friend has their ideal sewing machine set up in the ideal spot, but what good is that if they have to get up and head over to the ironing board in order to press open a seam, iron an applique or press on a label? That’s why they’ll appreciate this affordable gift, because they can use the lightweight Dritz mini iron right at the work station. It’s easy to maneuver thanks to an elongated, ergonomically-designed handle, there are four heat settings on the digital control pad, and the soleplate can be adjusted to four different positions to fit the type of work needed. The iron only has to be filled with a small amount of water, sits in its own stand when not being used, and has a safety shutoff feature. Your sewing friend will find this little tool invaluable. Many crocheters (and knitters, for that matter) often muse aloud that they “should get a ball winder.” Here’s your chance to make them happy. The Stanwood winder clamps on to just about any bench, table or chair and easily creates center-pull balls of yarn just with turns of an unbreakable metal crank. This model replaces the company’s popular but now-discontinued Royal Ball Winder, and is a sturdier, smoother and quieter unit. It can handle up to four ounces of yarn, which simply has to be threaded through the swing arm and feeder hook. If you have some extra money in your budget you might want to combine this gift with a yarn swift, but it works just as well with hanks wrapped around the back of a chair or a friend’s arms. The yarn bowl we suggested for knitters would also be a terrific pick for this category, and your favorite knitter would love this gift choice as well. The beader who you’re shopping for may already own a set of bead pliers. That’s not a problem, because once you surprise them with one of these amazing Beadsmith tools they’ll put their old pliers aside. They won’t be needed any longer for some of the painstaking, common tasks like creating head or eyepins, or putting loops on each side of a bead. With this tool, jobs like that take mere seconds. Shaped like a standard set of bead pliers but with wider handles, the tool lets a beader create perfect and consistent 1.5mm loops like clockwork. It can bend and trim wire between 18 and 26 gauge, and works most metal wires, so it’s the right choice for almost any type of beadwork. The Beadsmith Looper Tool is a gift which will save your friend or family member an enormous amount of time and work. “Puzzles” describes a pretty comprehensive category. but we have found a terrific gift which should intrigue just about any puzzle aficionado, no matter which type of brain teaser they prefer. ColorKu combines Sudoku with puzzle cards, nine different colors of marbles, and a wooden game board. Its five difficulty levels will challenge even the most dedicated Sudoku fan. 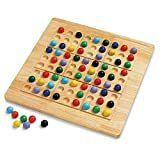 The cards give you the initial layout to use with the marbles and board, and the challenge is to place just one of each colored marble in each row, each column and each 3 x 3 square on the board. The 104 puzzle cards will keep someone occupied for quite some time, and they can purchase additional card sets if they enjoy being challenged. 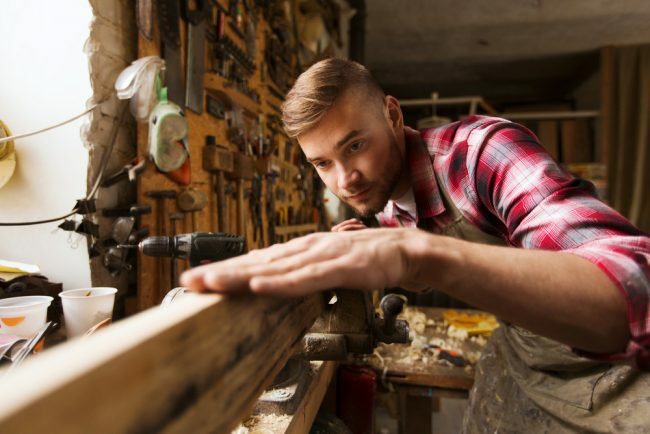 Most woodworkers already own their most-important tools, and quality wood shop equipment costs a fortune. That being said, they might want this measuring tool that solves one of the most annoying problems a woodworker can face. Have you ever had to measure and mark a long piece of wood so screws or shelves are spaced evenly? No matter how careful you are with your rule and pencil, the marks never end up quite as evenly spaced as you need them to be. The Point 2 Point Mk2 is a two-foot long, stainless steel “accordion” that expands and locks into place with pinch bolts. Once you’ve set the spacing you need, it’s simple to mark the exact spots that will be absolutely evenly-spaced. The woodworker in your life will likely find it indispensable. Unless you’re buying a gift for someone who’s very new to coin collecting, you’re likely to run into a big problem. Coins which are really worth collecting are likely to cost you more than you’d want to spend on a birthday or Christmas gift. A gift that makes more sense is the book that’s considered the bible of American coin collectors, known to collectors as the “Red Book.” It’s been around for 71 years and a new edition comes out annually, so you can still get a collector an updated version. Containing values, history, and high-res photos, the 484-page book is a comprehensive guide to U.S. coins, dating back to colonial days and running all the way up to the current year. You’ll have the same problem buying stamps for a collector friend as you would have purchasing coins. Unfortunately, there’s no “bible” for US stamp collectors like the Red Book for coins, but the US/BNA Catalog comes close. 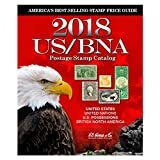 It’s issued annually and there are updated market prices for all American and Canadian stamps, plus an illustrated stamp identifier that will come in handy for any level of expertise. British collectors are luckier, as the Stanley Gibbons annual series of “Collect British Stamps” is considered the go-to source on for UK collectors, and the 2018 edition is available on Amazon. How many types of miniatures are there for people to collect? We don’t have enough time or space to list them all, since “miniatures” are simply a scaled-down version of a real-world or fantasy object. The category might immediately make you think of Dungeons and Dragons or people who collect miniature dolls, but your friend might be focused on something else entirely. Active miniature collectors have one thing in common, however. They’ll always need an additional, attractive rack in which to store and display their collection. The MyGift Rustic Wood Rack is a lovely – and miniature – option at a reasonable price. 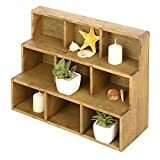 This rack has three shelves with three compartments each, has a natural-grain finish and can be either wall-mounted or used as a freestanding display unit. The cameras in today’s smartphones have become so good that even seasoned photographers often choose to use their phones instead of hauling out all of their expensive equipment. That’s why instead of another filter or SD card for a DSLR, we’re recommending the best tripod mount for taking the perfect photo with a phone. 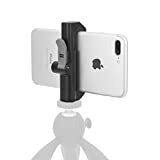 The Studio Neat Glif was the original smartphone tripod, and the company’s latest models are the among the best of the best. 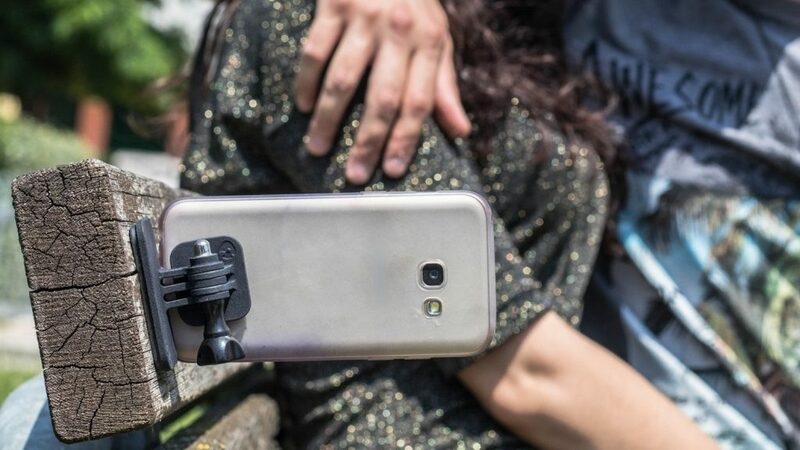 This lightweight tripod is designed for those who want to be able to grab a perfect shot on a moment’s notice, since the quick-release lever lets a photographer mount their phone in literally a second or two. There are actually three mounts included with the purchase (all are standard ¼” – 20 size) to provide full flexibility in orientation. The Glif accommodates all models of smartphones, with or without a case, and the phone is held firm by spring action and locks. 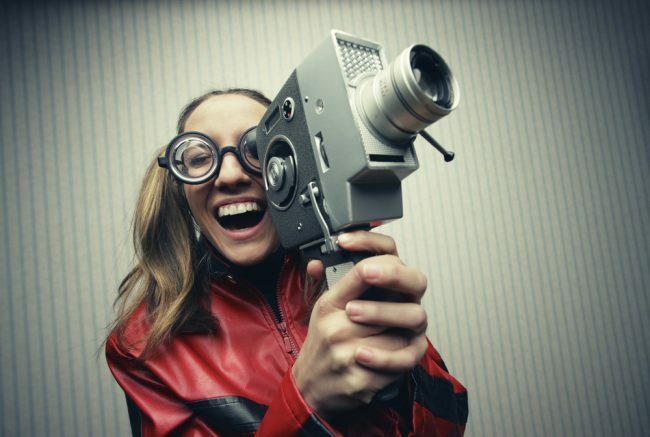 Your favorite videographer may not own a GoPro just yet, but they likely will at some point. These cameras have become ubiquitous because they’re perfect for shooting any type of action video and because their wide lenses allow them to capture scenery better than traditional video cameras. GoPro apps and software make control and editing a breeze, too. You’re probably not looking to spend a few hundred dollars on a gift, so buying your friend a GoPro is likely to be out of your price range. 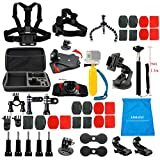 The Lifelimit accessories kit, however, is a comprehensive collection of harnesses, straps, clips, clamps mounts and other goodies that will let any photographer get the most out of their GoPro. They also fit clones such as the DBPOWER and APEMAN, so this is a gift which will come in handy for anyone who has an action camera. 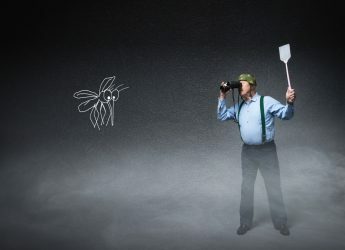 Birdwatchers fall into two basic categories. Some head out into the wild to identify or photograph various species or in search of a rare find. Others prefer to attract wild birds to their home or garden and watch them in comfort. A sensible gift for the former will be either a guide (they’re likely to already own plenty) or an expensive camera. It’s easier and cheaper to shop for the latter group, since there’s one truism about bird watching at home: you can never attract enough birds. That’s why we’ve chosen the GrayBunny Premium Feeding Station as a great gift for the more sedentary bird watcher in your life. There are two hooks at the top for tube, nyjer or hopper feeders that attract smaller birds like chickadees and finches, two hooks in the middle for feeders like suet baskets that will bring starlings and hatches eager to eat, a mesh tray at the bottom that will accommodate food for ground-feeders like jays and cardinals, plus a plastic bird bath. 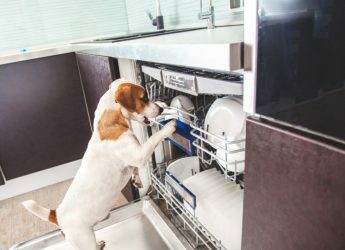 They’re all mounted on a rust-resistant, 91-inch steel pole, and the hooks and trays can be moved and positioned as desired. Your favorite birder may already have a feeder in their yard, but there’s no harm in another. A potential problem doesn’t occur to amateur astronomers until they set out to find the perfect position for viewing the sky: night vision. A flashlight will let them see where they’re going, but will make it difficult to see the stars and planets as they walk. Even worse, it will wash out their view if they have to use the flashlight to consult their atlas or planisphere. 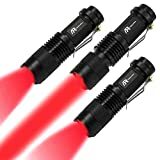 The way to solve that problem is with the same type of red LED torch that hunters often use in the dark, and the AR Happy Online set includes three durable, water-resistant units. The brightness of the LEDs can be adjusted with the flip of a switch, giving the astronomer bright, 300-lumen light for walking and low-level illumination to consult their atlas without eliminating the sky view. The torches are lightweight, run on a single AA battery and can clip right onto a belt. Even baby boomers who once looked down on “kids” memorializing everything they do by taking photos with their smartphones, have finally given in and now take selfies. And they – just like the kids – have realized that it’s awfully difficult to get a perfect shot with a small phone or camera. Enter Stick iT. It’s an ingenious mounting system that can securely hold a phone or GoPro camera and then be mounted onto any surface. 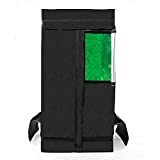 The sticky pad holds tight on a wall, a dashboard, a tree or even a rock, so your recipient can mount his device anywhere and take completely steady video or photos. The system is lightweight, movable and can be used an infinite number of times. There are many other uses for Stick iT. 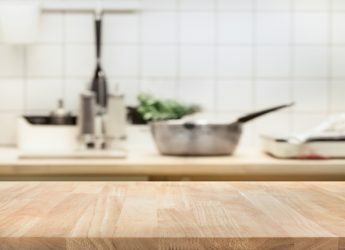 Your friend or relative can display a recipe on their phone and mount it above the stove or counter; they can pull up their GPS phone app and attach the device to the windshield so it’s in their line-of-sight; they can even mount their GoPro on a skateboard or snowboard to capture amazing action video. There’s no better accessory for a traveler, an amateur videographer, or that baby boomer who’s discovered the joys of self-shot photos and video. 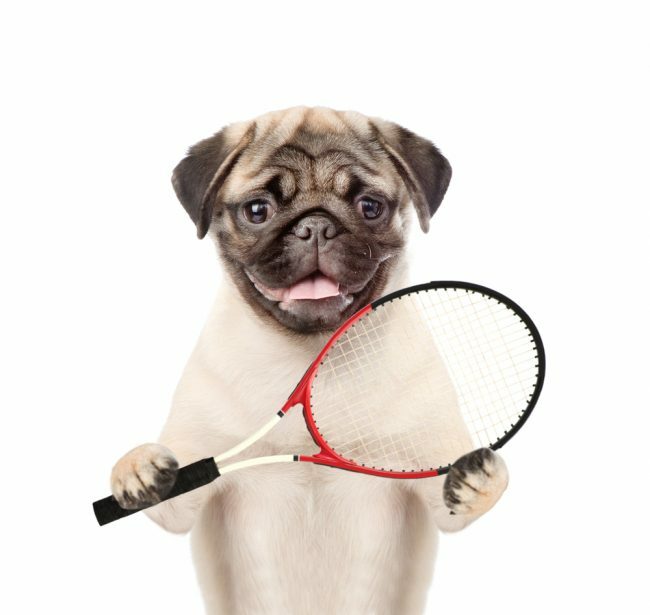 There are even more hobbies that one could consider when buying a gift for a friend or family member, and we certainly don’t want you to limit yourself to these. Perhaps you have a friend who is a fashion hound and might love some new clothing or another related item. Perhaps its a hobby only a few people are into, in which case you should absolutely show that you’re aware of their interests. 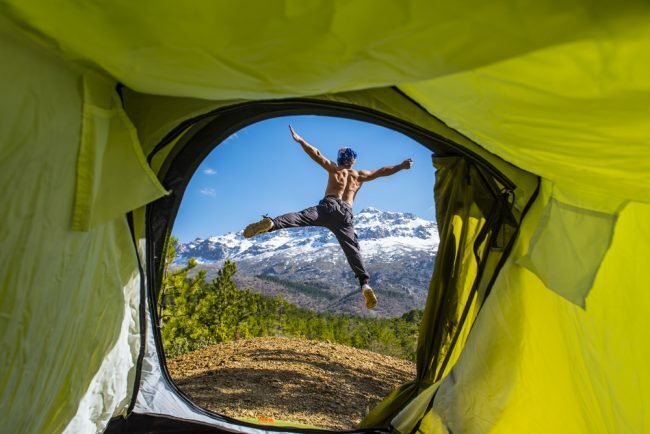 It could be less of a hobby and more of a lifestyle, as some backpackers think about it. The thought and the personal touch are what count, and we hope that we’ve made your decision just a little easier for you. Are there any other gifts you would recommend? 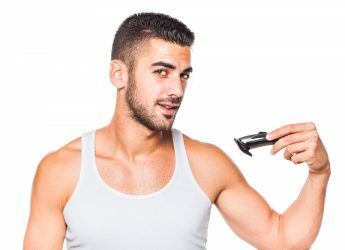 Are there any products on the horizon that you would tell people to check out? Are there any hobbies you would like us to take a look at to find a perfect gift for in the future? Leave a comment below and we’ll be happy to hear your thoughts.